The Starbucks coffeeshop on North 20th Street in Philadelphia. More than a month after the arrest of two black men at a Starbucks in Center City caused a national uproar, the company's damage control efforts are still the subject of debate. Rashon Nelson and Donte Robinson, two young real estate professionals, handled their arrests with grace as police escorted them out of the restaurant for failing to make a purchase. They were waiting for a friend to arrive and were denied use of the bathroom because of a company policy requiring them to be paying customers in order to gain access — or in this case, even be there. To most eyes, the store manager's 911 call reeked of racial bias. The police, while doing their job, were asked to enforce policies that seem far less likely to create public relations nightmares for Starbucks in situations that don't involve minorities. It took an incident that made Starbucks look hostile to black people to force a reevaluation of their policies. Starbucks CEO Howard Schultz's commitment to open bathrooms up to the public may have been more ambiguous than was widely reported. 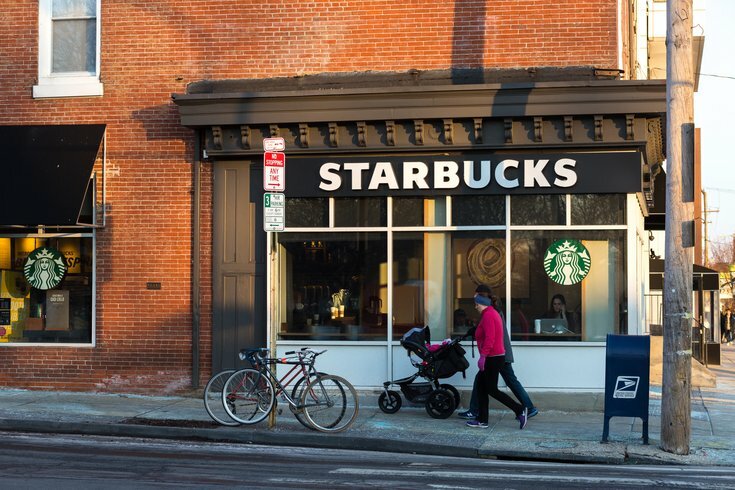 What's clear is that Starbucks, which will close its stores for racial bias education training on May 29, badly wants to get back into America's good graces. If you ask late night host Jimmy Kimmel, it's gotten to the point of groveling. Those goalposts on those policy changes may have to be widened.